CA125 is a protein that both men and women have in their blood. The normal level of this is 35 units per millilitre (U/mL), or lower. 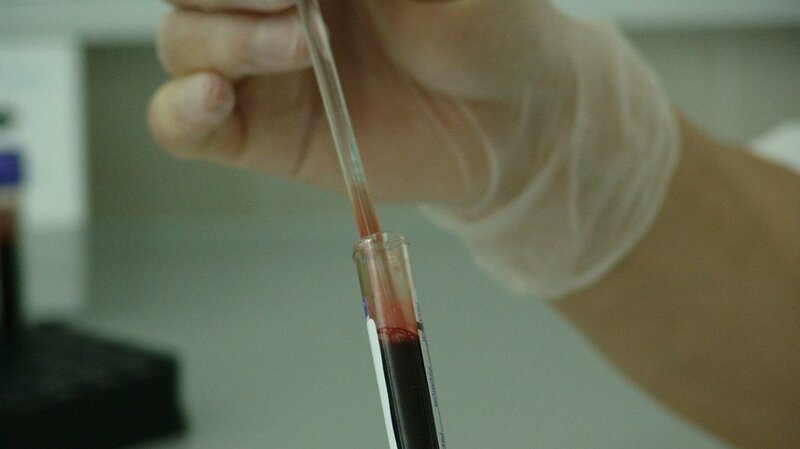 A CA125 blood test is used to check the level of the protein in the blood. It can be carried out at a local doctor’s surgery if they have the facilities, or the patient will be referred to their local hospital the same way they would for any other blood test. When might a CA125 blood test be necessary? A referral for a CA125 blood test on presentation of these symptoms is particularly important if they are persistent, frequent and out of the ordinary with no other obvious explanation. A doctor would usually refer for a CA125 blood test following a physical abdominal or internal vaginal examination. Does an increased CA125 level mean ovarian cancer? An elevated CA125 level is not a diagnosis of ovarian cancer. More investigations are required to determine what is causing the elevated CA125 level. Patients will be referred for a pelvic or transvaginal ultrasound scan to gain a better internal picture and to identify any abnormal masses on or around the ovaries. If abnormal masses are seen a patient would usually then require more scans, and some explorative surgery in order to make a certain diagnosis of ovarian cancer. For more information about how ovarian cancer is diagnosed visit the page on our website. What else can cause a CA125 to be elevated? It is also important to note that some women have naturally high CA125 levels in their blood. Can a CA125 blood test be used as a screening tool for ovarian cancer? Currently, it is not possible to use CA125 blood tests as a way of screening women for ovarian cancer for a number of reasons. As previously discussed it is not just ovarian cancer that can cause an elevated reading, there are many other things that can cause this to be the case, along with the fact that some women will have a naturally elevated level with no cause for concern. So not all women with a raised CA125 level will have ovarian cancer, and it is also important to consider some women may have ovarian cancer but have a normal CA125 reading. Annually screening all women with a CA125 blood test could lead to many being referred for further investigations that are unnecessary, causing needless worry and the possibility of having to undergo inappropriate surgery for no reason. In 2015 the results of a long-term study looking at the effectiveness of annual CA125 blood tests and ultrasound scans found that in some instances more women were diagnosed with the disease earlier, and in some of these cases death rates from the disease were reduced. However, further analysis is required to determine if these results can be conclusive and cost-effective enough for CA125 blood tests and ultrasound scans to form part of a national screening programme. What other research is happening in screening for ovarian cancer? Ovarian Cancer Action funds the work of Professor Ahmed at the University of Oxford and so far, the team have made several exciting discoveries that have taken them closer to answering that question. They have found that the number of cells that have a protein called SOX2 is markedly increased in the fallopian tubes of women with or at high risk of ovarian cancer. Having a better understanding of how the disease develops is key to developing a screening tool. Although they have made some exciting discoveries, there is still a lot more research to be done. Identifying the SOX2 protein is an important step forward but it’s very difficult to get to, meaning a screening tool centred around it would be quite invasive. They are now looking for other changes that take place in the body simultaneously to the SOX2 protein production and, by harnessing different markers, they hope to find another marker that is easier to test for. They hope to complete their next stage of investigations within the next five years and then the next step would be to translate their findings into clinical research.